Originally a West Coast strain from California, Banana Kush is an Indica dominant hybrid marijuana strain created from Skunk Haze and Ghost OG. 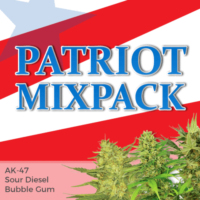 Highly popular in many dispensaries, it’s distinctive banana aroma and flavor cunningly disguises it’s potent effects and relaxing, euphoric sensations. 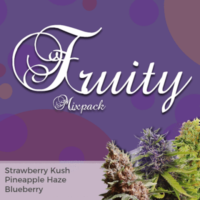 Fully feminized seeds guarantee pure female-only plants, perfect for the indoor grower. Sea-of-Green, Screen-of-Green and hydroponic growing techniques all work well with this strain, with the plants producing their best yields when pruned and trained. The Indica dominant genetics generate a plant of average height and spread, with a close branching structure capable of supporting the hard, dense buds. 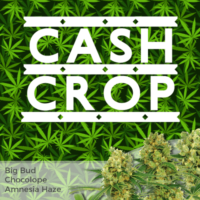 Yields are good, with experienced growers producing approximately 500 grams of dried and cured buds per square meter. Enjoy the very best quality feminized Banana Kush seeds all sold with free and guaranteed shipping to all parts of the USA. 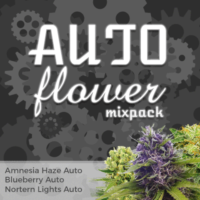 With a variety of pack sizes and payments options available, buying marijuana seeds online has never been easier. Great for beginners, producing good yields of high quality buds. Indoor flowering times average between 56 – 63 days to achieve peak maturity, and although Banana Kush prefers to be grown indoors, it can be cultivated outdoors in warm, southern states where it will mature ready for harvest during the beginning of October. Although low in CBD, it has several medicinal uses including; relieving pain and nausea, as well as assisting with sleep, decreasing tension and reducing stress.